Did you see the premiere of Star Wars Rebels? The premiere episode/movie "Spark of Rebellion" was a fantastic introduction to the new series. 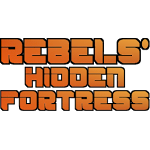 If you would like to learn more about the new series check out my Rebels news site, Rebels' Hidden Fortress.